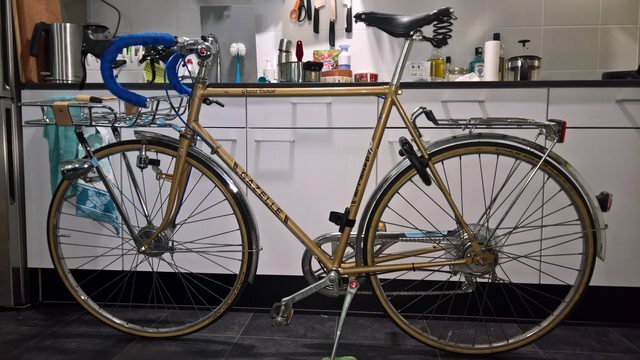 So I'm looking for a way to haul a moderate amount of junk around with me when I ride my 1971 Atala Competizione beater... I'm sick of wearing a backpack. Rear rack is right out because it's a moderately racey-looking bike and a rear rack would look horribly out-of-place. Plus then I'd have to get panniers and the whole idea sounds expensive. An English-style fattie saddle bag is a consideration -- it would look right with the english-style paint job. But, it'd be hard to fit odd-shaped or crush-sensitive things into one. 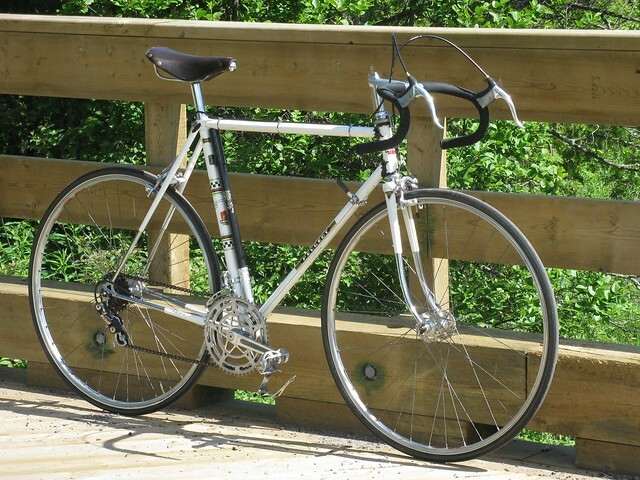 Does anybody have any experience with a front basket (esp a detachable one) on a sport-touring/touring/racing/all-rounder road bike? Cheers or regrets? Drop bars no, and mustache bars yes. If mustache bars look at Electra bikes as they have a few different ones. Good think you're passing on a rear rack, 'cause a front basket screams "racey". 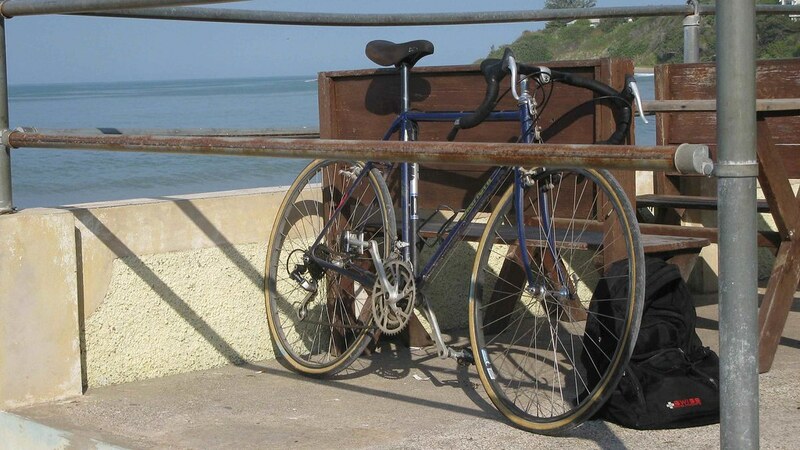 Learn how to find, restore and maintain vintage road bicycles at... MY "TEN SPEEDS"
I'm sure Lance has one on his mtn bike, though. Personally, I think a rear rack w/ some small panniers looks rather fetching on a racer. I saw a late 90's Litespeed at the LBS (customer bike) set up with one. Pretty snazzy. But, then aren't all Litespeeds, anyway? Oh, btw, were it me......and this is just my opinion......I'd prefer not to have the weight on the steering. Makes zooming around a bit more cumbersome. If you're looking to haul a "moderate" amount of stuff then a front basket is going to seriously impact your handling with a racey type bike. What about a low front rack and/or a front bag? I've been thinking about hanging two sets of Wald double-rear baskets; one front the other on the rear. Kinda like full-tour panniers but in chrome and wire. The front one would have to attach to the fork crown, so you'd have to work that out. Anyway, I think that would look good with drops and it would keep the load low. In truth, I have tried running panniers and front baskets. Did not like the looks of either, nor did I like the way that they function. Function might not be the correct word, but it as been my experience that I had to empty out the panniers, fearing theft of the contents if I parked the bike. Edit: foiled by forgetting to check the date on a zombie thread once again. 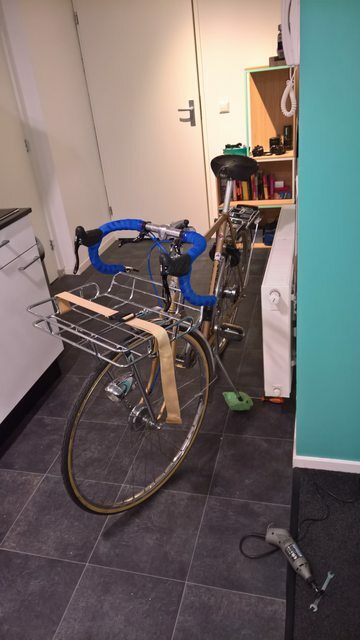 Depending on what you plan on putting on it a low Porteur rack could work. Mine is a Basil Portland front carrier (Also available in black) and they used to have one without the rail so you can fit larger packages. Last edited by JaccoW; 04-16-18 at 07:20 AM. How about front and rear panniers instead of a basket? I have been delighted with the Pletscher "mousetrap" rack and Rudy Project panniers on my UO-8. I routinely haul 25-30 pound loads, no problem. A vintage Cannondale handlebar bag is hard to beat. You can spend more for some very functional and stylish carriers, but you are equipping a beater.